Senior care positions always require a caregiver to complete each senior care company’s custom caregiver job application, because of the professional liability insurance requirements in the industry. But professional senior caregivers should always take the time to create a professional resume in order to score the best positions with the top companies. You will be hired ahead of caregivers who do not submit a resume with their job application. Writing a resume is quick and easy. 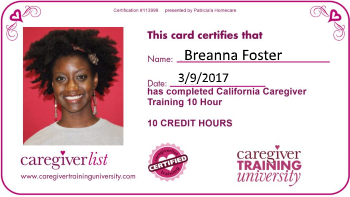 Caregiverlist was created by senior care professionals who hired more than 500 professional senior caregivers. A caregiver resume will definitely make your job application stand out. Remember, senior care differs from many other careers because each senior you care for has a different personality and life story. High quality caregivers understand the need to develop a resume which allows senior care employers to see beyond the data plugged into a job application.